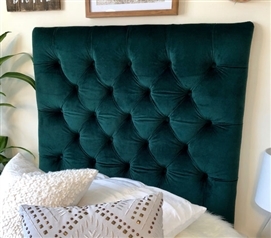 Dorm room headboards for your Twin XL sized bed are a great way to add style to your college decor and support to your dorm bed.Our one of a kind Tufted College Headboards definitely deliver both of those benefits to your dorm room. 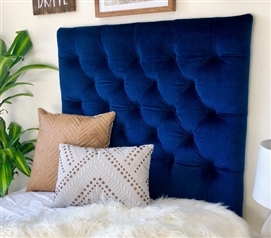 The sturdy wood and foam construction of these unique tufted dorm headboards will ensure you have a comfortable place to rest if you need to sit up in you extra long Twin bed to relax or study. 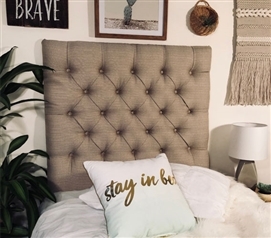 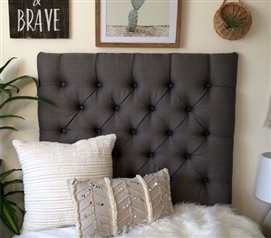 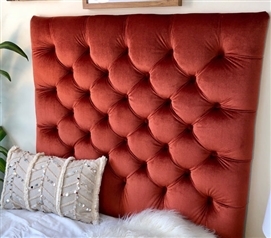 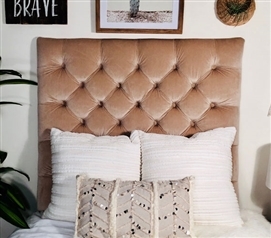 Just one look at these amazing Tufted College Headboards and you'll fall in love. 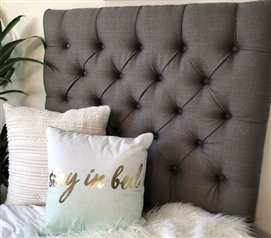 The elegant diamond tufted or square tufted design will give you beautiful college bedding that will also help boost the appearance of your entire dorm room. 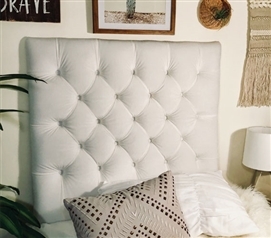 The sturdy wood and foam construction is covered with soft exterior to make sure you feel perfectly comfortable when you need to sit up in your Twin extra long bed.